Wiltshire, England (February 7, 2006)--Real World Studios recently installed a new custom-built SSL XL 9000 K Series console in its main studio, The Big Room. The residential facility, which is owned by SSL co-owner Peter Gabriel, hasn't had a face-lift of this magnitude since it opened in 1988. Nearly a year ago, Real World Studios started negotiating the purchase of a new console for The Big Room with the intention of equipping it for 5.1 and high-resolution audio so that it could handle more complex productions. As the order was placed, SSL revealed that the company was being put up for sale. Rather than canceling the order, Gabriel decided to buy the company. Alongside the installation of the new console, The Big Room has also had its monitoring and acoustics upgraded for 5.1 surround sound. The new desk may be large but thanks to the dimensions of The Big Room, there is still plenty of space. Its shape copies the U-configuration of the studio's previous SSL G Series console and it is positioned so that it works well ergonomically, with everything in easy reach of the operator. The XL 9000 K provides the dual benefits of a full 5.1 surround architecture and the increased bandwidth and resolution needed for DVD-Audio and SACD. 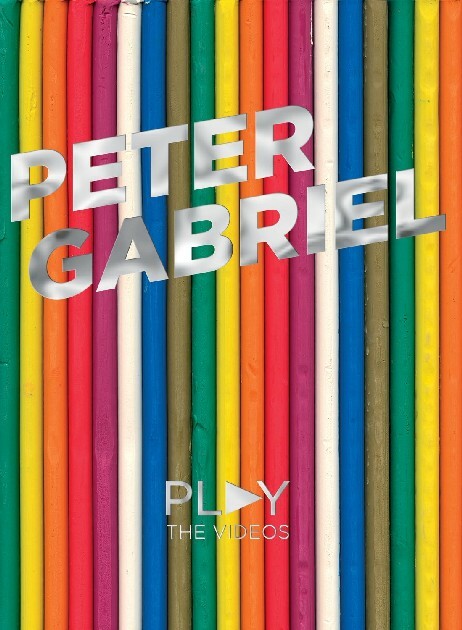 These were important consideration for Peter Gabriel, who creates the majority of his music in surround, with stereo handled as a separate interpretation. Currently working on music for this year's World Cup as well as a number of movie scores, Gabriel said it is "the sonic quality" of SSL consoles that inspires him. "At a time when many top-class studios are scaling down or closing their business, we still believe that there's room for the extraordinary," he commented. "If your studio is unique and makes the best sounding equipment available, there are artists who will be attracted. As an artist I have made most of my records on SSL consoles. I have been a big fan since I was introduced to SSL in the '80s. When I heard SSL was for sale, it was both my and Dave Engelke's enthusiasm as users that encouraged us to invest in the company. An SSL desk makes sure all the effort put into making music gets reproduced on the record." Real World's studio manager, Owen Leech, said the choice of console for The Big Room reflects the studio's determination to stay ahead in the UK residential studio market. "This is a very exciting development for Real World and one that we have been eagerly anticipating for a long time," he said. "We have always been known as a musician's studio and this is undoubtedly the best sounding console on the market. Being able to offer full 5.1 surround mixing and sound-to-picture facilities is vitally important, because it allows us to maintain our reputation as the UK's premier residential recording facility." Antony David, SSL's managing director, added: "We are honored that Peter has chosen the XL 9000 K for the Big Room at Real World. He may be the guy who liked the company so much he bought it, but trust me--Real World still had to pay for their console. Our valued shareholder will receive the same care and attention we give to all our recording studio customers." Real World will also be transforming its smaller second studio, The Production Room, by installing an SSL AWS 900 Analogue Workstation System. This complements the studio's existing workstation system and, because it is so compact, will create enough space to build a voiceover booth. "The Production Room will be completed by the Spring of 2006," Leech added. "While we're in building mode, we're also opening a demo studio, which will be attached to our existing rehearsal facilities. The range and breadth of facilities offered will allow us to take a project from pre-production right through to completion. "We've been incredibly busy during 2005, so finding time to revamp the control room was tricky," Leech concluded. "We had a natural break over Christmas and decided to get the job done then. The Big Room re-opened in mid-January and is booked through to the end of March." Long Beach, CA (January 11, 2006)--Pioneer Electronics announced plans last week at CES to implement a breakthrough audio technology, Neural Surround, across its home and automotive product lines. Pioneer is introducing the new VSX-816, a Neural Surround enabled home receiver, which supports XM HD Surround broadcast, and is set to retail for $299. In addition, Pioneer will announce support for Neural Surround at the 2006 WCES show with plans to expand the implementation of Neural Surround to a full line of home A/V receivers. "True 5.1 encoded surround sound for music is a natural progression for multi-channel home audio entertainment," said Dave Bales, marketing & planning manager of audio products for the home entertainment division of Pioneer Electronics (USA). "Thanks to XM Satellite Radio's partnership with Neural Audio, we now have high performance and easy access to a whole new world of music. There is no doubt that music artists will be inspired by the creative opportunities this exciting new technology brings. We think consumers are really going to love the experience." Geir R. Skaaden, CEO of Neural Audio, commented, "This is about setting the bar at a new level for audio entertainment, and we are excited to partner with a leader like Pioneer to support the largest source of 5.1 original music content of any medium today. Music encoded in Neural Surround will enrich the listening experience with full envelopment and discrete image detail that are non-existent in traditional stereo audio." Digital entertainment products maker Creative and surround sound company DTS today announced a standalone, self-powered encoder which they feel will help bridge the gap between a PC or media center and a multi-channel consumer electronics receiver. The Home Theater Connect DTS-610 will be available in September for $99.99. The DTS-610 acts as a digital connection between all audio, including multi-channel and DRM-protected content, coming from a PC and going to a consumer electronics receiver. The audio is encoded in real time by the standalone device with DTS surround sound technology and digitally outputted to the home entertainment system through one cable. The DTS-610, Creative said, is the first standalone hardware product on the market to uses DTS Interactive, a special real time version of DTS which does the previously mentioned on the fly encoding. "Media center PCs are quickly becoming a necessary part of home theater systems, because of their ability to store and playback all types of content, including CDs, MP3s, DVDs, and downloaded movies. However, their limitations in handling DRM-protected content have kept media center PCs from blending seamlessly with the other components," said Steve Erickson, vice president of audio for Creative. "The Home Theater Connect DTS-610 removes these limitations and allows real-time DTS Interactive encoding of all audio content. DTS is widely regarded by audio aficionados to be the premium sound solution for home theaters, and we are excited to release the first product on the market with the new DTS Interactive encoding process." Dark Side Of The Moon BEING RELEASED ON UMD FORMAT FOR PSP! Eagle Rock Entertainment have announced that they will be releasing a bunch of titles for the emerging new format for portable entertainment - the Universal Media Disc (UMD) format for the Sony PlayStation Portable (PSP) game device - and amongst these will be the excellent "Classic Albums: Pink Floyd's Dark Side Of The Moon". Whilst no release date has been set for this title, it is expected to be one of the first to be released from their range, joining the currently limited range on the shelves. Other companies are now preparing their catalogues for release on the format. In addition to gaming, the Sony PSP allows owners to view movies and music video programs, listen to music and download files. The PSP features a high resolution screen, and the UMD’s themselves, housed in a lightweight plastic disc sleeve, have a high data capacity (1.8 gigabytes) that makes the most of the handheld player's capabilities. Sound is presented in stereo through the built-in speakers, or through headphones. Eagle Rock Entertainment's Executive VP Mike Carden said: “As soon as we saw the quality of the image produced on the PlayStation Portable, we knew it could be a very successful vehicle for our products and we wanted to be the first-to-market with visual music titles.” The Sony PSP has sold extremely well since its release on March 24, and the Wall Street Journal reports that Sony expects to ship 12 million units worldwide this year. Whilst the quality isn't as good as the equivalent DVD, it provides a convenient format for entertainment while out and about, travelling to work, and so on. As soon as we have the release date and order details for the Dark Side Of The Moon UMD, we'll let you know. MIAMI, FL--(MARKET WIRE)--Jun 10, 2005 -- MAGIX, the worldwide leader in music and video editing software(1), announced today MAGIX Audio Cleaning Lab 10, which restores music from old scratchy vinyl albums, cassettes and old CDs turning them into beautiful four-channel surround sound masterpiece CDs and DVDs. Featuring crystal-clear 24-bit sound, new surround transitions and fully automated de-hissing capabilities, MAGIX Audio Cleaning Lab 10 cleans and polishes up one's favorite music, burning it onto CD, DVD, and now even DVD Audio. The latest version of the best-selling audio restoration program(1), MAGIX Audio Cleaning Lab 10 records music up to 7 CDs of your favorite band onto a single DVD, which is playable on any conventional DVD player for non-stop music enjoyment. Available June 16th, MAGIX Audio Cleaning Lab 10 is priced at only $39.99. MAGIX Audio Cleaning Lab 10 uses "Spectral Cleaning" to remove background noise or comments from recordings of Internet radio or classic live concerts without affecting the music. For users of Surround Sound systems, the software even lets you burn discs in DVD Audio format; and because of the Surround Editor and new Surround Transitions, MAGIX Audio Cleaning Lab 10 users can take advantage of DVD players and Dolby Pro Logic compatible systems, as well as create a smoother sound experience with automatic fading at the end of tracks. Can I get some wheels on that 5.1 chair....? Editor's note..now if I could only get my wheelchair retrofitted.. Designer Graham Hufton sits in his PowerPlay 5.1 Media Chair, on display at the Empower booth at the Electronic Entertainment Expo in Los Angeles Friday, May 20, 2005. As the name suggests, this $999 chair is the center of a surround sound stereo system that'll make video explosions rumble through your entire body. Editor's note: Can we please just get a little more 5.1 before the industry ridiculifies the market with more horsepower than we can use? 10.1 channel sound may indeed be the future...but the last time I went to a movie the theater had a grand sound system with at least 2 destroyed drivers which really mickey-moused the entire sound space. As for straight ahead audio....5.1 is enough...we just need more titles to listen to...ok? From Jazz Times Online edition..
"Put your hands up. You’re surrounded.” That classic line from a thousand westerns and mystery flicks has taken on new meaning in the past several years. The phrase is still in the movie business, but nowadays, the hands going up are those of baffled home theater consumers facing an ever-changing array of choices in the category of multichannel equipment. We’ve progressed from 5.1 surround—two front speakers, a center speaker, two rear speakers (the five part) and a subwoofer (the .1, for special effects and other very low tones)—through 6.1, and now we’re hovering at 7.1, in which there are two speakers in the rear and one on each side wall. But even four or five years ago, talk of a 10.2 surround system was already being tossed around as if it were a given. But how many ears do we have—10.2? And how many people can find space for 12 speakers in their living rooms? Most are struggling to figure out how to deal with six. Many in the know insist that those extra channels of audio can really make movies more vibrant, more believable. But if you’re not convinced and want a simple, “old-fashioned” 5.1 receiver, you may be out of luck. Creative Technology Ltd. (Nasdaq: CREAF - News), a worldwide leader in digital entertainment solutions for PC users and the creator of Sound Blaster®, today announced two major breakthroughs in audio technology: Xtreme Fidelity, the new standard in audio, and the Creative X-Fi Xtreme Fidelity audio processor. The combination of Xtreme Fidelity and the Creative X-Fi Xtreme Fidelity audio processor provides dramatic improvements to the recording and playback of MP3 music, accelerates and improves PC game play, enhances listening experiences for movies, and improves the capabilities, performance and quality of audio creation. Xtreme Fidelity sets a new standard for audio by supporting a combination of 24-bit quality, stunning audio clarity with a minimum of 110db SNR and the new CMSS® (Creative Multi Speaker Surround) 3D headphone and surround speaker technology. Consumers will be able to upgrade their existing CD and MP3 music to the Xtreme Fidelity standard, using applications that can run on the Creative X-Fi Xtreme Fidelity audio processor. Being able to upgrade an existing library of music to Xtreme Fidelity differentiates it from other high-end music standards such as DVD-A and SACD, which offer limited selection and require consumers to repurchase their music in that specific format. When consumers upgrade their CD or MP3 music to the new Xtreme Fidelity standard, they will be able to experience playback that sounds better than its original CD recording.